The parents of a 5-year-old boy who drowned at his summer camp have filed a wrongful death lawsuit claiming the camp is responsible for the boy’s death. The boy died in July of last year at Camp Cricket at Cochran Mill Nature Center. The boy was with 13 other campers in his group who were escorted by three counselors. The counselors allowed the children to splash in shallow water when the boy wandered off without anyone realizing it. A half an hour later, when they found him, he was not responsive. The boy was taken to the hospital where he later died. The family of the boy is alleging gross negligence and is seeking punitive damages from the summer camp. The death of the boy stirred up strong emotions toward the camp. Now, two individuals affiliated the camp are facing criminal charges. Terri Clark, the camp director, is charged with involuntary manslaughter and reckless endangerment while the executive director of the camp, Meribeth Winsley, faces a misdemeanor charge of operating an early childhood learning center without a license. On top of the criminal charges, the family has initiated a wrongful death action against the camp. 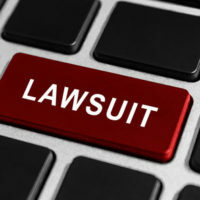 When a plaintiff alleges gross negligence or willful misconduct in a personal injury or wrongful death lawsuit, they are asking the jury and the court to punish the defendants for their outrageous negligence. What rises to the standard of gross negligence is different in every case, but operating a summer camp without a license is compelling evidence. Technically speaking, gross negligence is a conscious disregard for the need to use reasonable care. For instance, Takata, the company that manufactured the defective airbags responsible for the deaths of 22 people across the globe, was hit with punitive damages for gross negligence. This is because they quietly settled a number of lawsuits involving the malfunctioning of the airbags and kept them on the market without issuing a recall knowing that more people would die. Since the conduct of a Takata was a willful and wanton act that disregarded the rights and safety of others, they were hit with punitive damages. The question then becomes: Does operating a summer camp without a license rise to the same level where punitive damages would be appropriate? Typically, punitive damages are not awarded to plaintiffs even when the negligence is gross. They are typically only awarded when the misconduct is willful as in the Takata case. Whether or not a jury will be willing to say that the summer camp could care less about the safety of the children they took into their care is a stretch, but if the camp director is charged with involuntary manslaughter, it may happen anyway. Gillette Law has helped a number of families in Jacksonville area and Georgia families recover damages when their loved one was lost to another’s negligence. Give us a call or contact us online for more information.